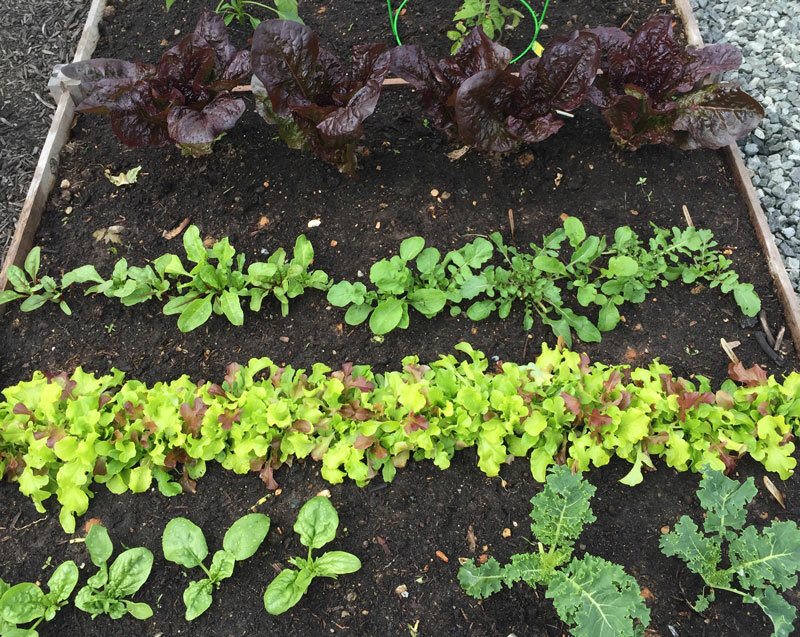 How Much Leafy Greens & Vegetables Can You Eat on the Keto Diet? 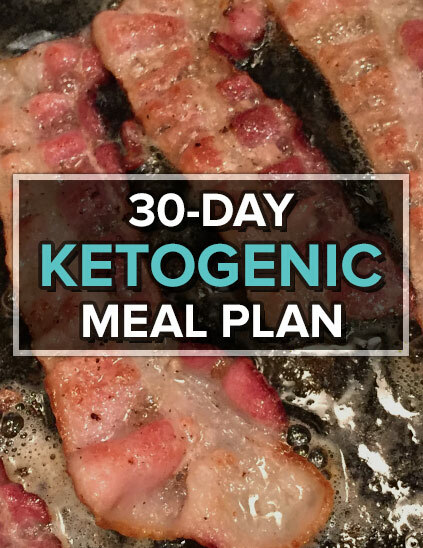 How Much Leafy Greens & Vegetables Can You Eat on Keto? Even though the ketogenic diet is mostly fat and protein, it’s important to fit good carbs into your diet with vegetables high in nutrition and fiber. The funny thing is I’ve eaten more leafy greens and green vegetables on the keto diet than I ever did before, even when I was attempting to eat healthy in other ways. Because it’s easier to eat greens when they are paired with FAT! Not to mention tastier. And it helps your body absorb the nutrition better. I know cauliflower isn’t green, but it is a member of the cruciferous vegetable family – and makes a great low-carb pizza crust. When it comes to tracking my calories, I don’t include leafy greens. This is mainly because I don’t believe overeating salad is a negative on the keto diet, plus they are so light (and mostly water) that it’s not worth worrying about to me. For the other vegetables, I usually steam a 12 oz. frozen bag and eat half of it per meal, so roughly 6 oz. per serving with 1-2 tbsp of butter. My two favorites are definitely Brussel sprouts and broccoli. I could eat them every day. Broccoli was the only vegetable I enjoyed as a kid. It’s wonderful with a cheese sauce! Because I’m not big on side salads, I always mix my leafy greens into full meals. 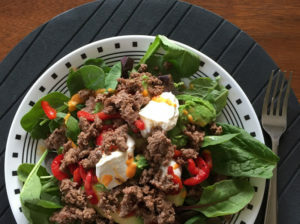 The meal that I’ve eaten the most since starting the keto diet is taco salad with ground beef, avocados, sour cream, hot sauce on a bed of mixed greens. If you are going to make a side salad, be sure to include your fats within the dressing. The two I often use are extra virgin olive oil and MCT oil, which is derived from coconut oil and converted more easily to ketones than other types of fat. You can also easily incorporate greens into your diet through soups or juicing. If you are going to juice them, use low-carb fruits like berries and lemon to cut the chlorophyll edge off of the taste. However you choose to eat them, make certain to eat fiber-rich green vegetables and leaves daily to keep yourself regular. Your body will thank you.